While it was their own talents and tenacity that helped them realize their NHL dream, Matt Duchene, Kevin Bieksa and Kevin Westgarth will tell you Labour Day and Grandparents Day hold special meaning when it comes to their respective big-league careers. The Way They Worked, an initiative spearheaded by Jobs With Justice, provides athletes and others the opportunity to pay tribute to their parents and grandparents, the chance to share memories of people who have had significant influence on their lives. For Duchene, one of hockey’s top young talents, many of the life skills and work ethic he developed came through what he learned from his parents and grandparents. Which is precisely what he came to see in his grandparents’ approach to work. “Both my grandpas worked with their hands,” noted Duchene, who won an Olympic gold medal with Team Canada at the 2014 Winter Games. “My Grandpa Duchene was a transport truck mechanic, and still to this day, does a lot of woodworking and construction. He built the house he and my grandma currently live in. Kevin Bieksa, known for his blue-collar approach to the game, certainly understands and appreciates hard work. The veteran defenceman, who is closing in on 550 NHL regular season games, hasn’t forgotten the impact both his parents and grandparents have had on his hockey career. 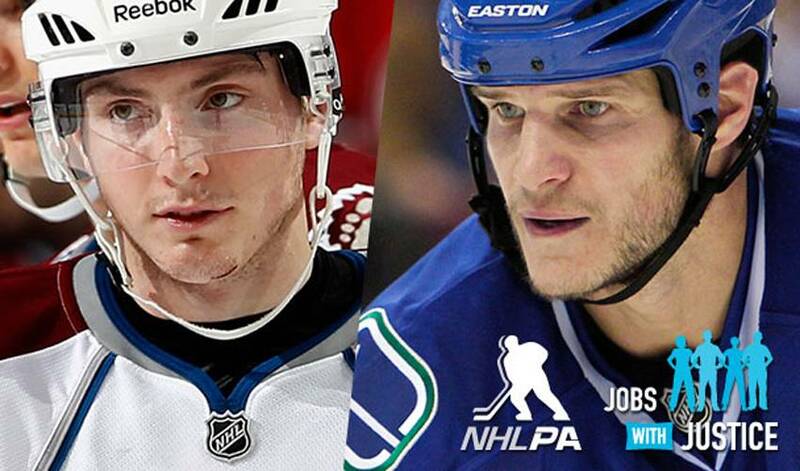 “The most important character traits I saw in my grandparents were hard work, focus and sacrifice,” said Bieksa. “They came over to Canada to give their kids and grandkids a better life, working hard for decades and decades doing manual labour working without complaint. It was all with the purpose of being able to give their family more. It allowed my parents to my put my brothers and I into hockey at a young age. The alternate captain remains grateful for the support of his family. Westgarth, currently a free agent, echoes Biesksa’s sentiments. For more Labor Day information and to share your own family work stories, visit www.thewaytheyworked.org.